1. 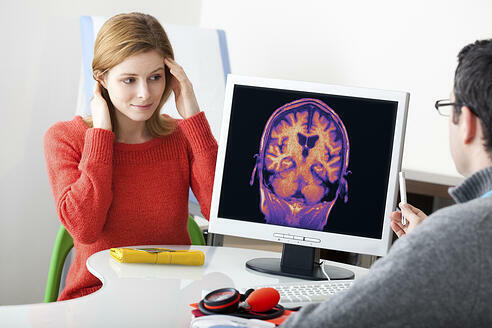 Replacing Your Existing Neurology EMR Made Easy. Once upon a time, changing your EMR was a major challenge. It is no longer the case. Transitioning from your existing EMR software to RevenueXL's Neurology Medical Records software is easy - we do all the necessary tasks involved with data migration and customizing the templates and workflow to meet your specific requirements. 2. No need to start from ground zero. Our Neurology EHR is already customized for neurologists--has all the templates and interfaces most commonly required. You can save time and money with an easy-to-use, feature-rich Neurology EHR system that is tailored to fit your particular needs and optimized to meet your specific goals. Neurologists will reduce the amount of time spent submitting, organizing, and locating paperwork, while simultaneously enhancing the patient care that they provide. 3. Dedicated Account Manager for fast tracking your implementation. Each practice is assigned an Implementation Specialist who serves as your personal guide through each step of the installation, implementation, and training processes. The specialist works with a point of contact at your practice to collect all necessary information and ensure a seamless transition to PrognoCIS. Once your patient data has been migrated into PrognoCIS, your Implementation Specialist will help you set up all the interfaces with other systems your practice works with. This includes medical devices, practice management software, and local and national labs. The Implementation Specialist will also work with you to customize different aspects of the EHR to match your workflow and specific charting needs. 4. Stage 2 Meaningful Use & ICD-10 Ready EMR Software. PrognoCIS is compliant with the ONC 2014 Edition criteria and is certified as a Complete EHR by the Certification Commission for Health Information Technology (CCHIT®), an ONC-ACB, in accordance with the applicable certification criteria adopted by the Secretary of Health and Human Services (HSS). The ONC 2014 Edition criteria supports Stage 2 Meaningful Use measures required to qualify eligible providers for EHR incentives under the American Recovery and Reinvestment Act (ARRA). RevenueXL offers a meaningful use package with an all-inclusive pricing which includes eRx (ePrescription), Patient Portal, Lab Connectivity and a number of other tools including a Meaningful Use Compliance Dashboard which monitors where the clinic stands in regards to meeting the meaningful use criteria. These features are designed to help practices maximize their Medicare/Medicaid incentive package reimbursements. When you choose to implement PrognoCIS Neurology EMR, there are no long-term binding contracts. Although we would love to continue providing you with the best neurology medical records software available, we realize that practices can encounter unexpected situations and needs that may require changes to the operation of the practice. In such cases, for a nominal fee, we provide for a data export from your EMR. Neurology practices implementing RevenueXL's EMR Software for Neurology experience superior enhancements with patient care, maintaining accurate and timely records and facilitating the process of claims/billing management. Continuity of care, aggregation of vital patient information that expedites sharing with other providers and having the ability to remotely access records are even more practical incentives for neurology practices to take advantage of the many benefits provided by Revenue XL's neurology EHR software. Simple 1-2-3 Steps to Implementing Your Best Value Neurology EMR.